Jaipur, the Pink City, immediately reminds you of the regal and grandeur. Who would not want to get married in this beautiful city full of palaces and heritage locations. Malviya Nagar in Jaipur is a place which is rich and affluent, the wedding venues too are as rich as its tradition. Find out your dream venue from these amazing and affordable banquet halls in Malviya Nagar. Hotel Vachi Inn, Malviya Nagar, Jaipur is a great venue to host your birthday parties, anniversaries, pre-wedding functions, intimate weddings and reception ceremony. It is located on the Gaurav Tower Marg which makes it easily accessible for all to reach there. Hotel Vachi Inn Jaipur serves multi-cuisine delicacies in both vegetarian and non-vegetarian food to their guests. This venue in Malviya Nagar allows you to get your own decorator from outside to set the theme as desired. The existing décor of the venue is just gorgeous and gives a special touch to your big day. The in house panel of caterers whip up delicacies to satisfy the taste buds of your guests. Hotel De Nada, Malviya Nagar, Jaipur is an elegant venue to host your corporate events, birthday parties, anniversaries, pre-wedding ceremonies, intimate wedding and reception ceremony. It is located near the Soloman Hospital in Siddharth Nagar, a well-known area in Malviya Nagar. Hotel De Nada Jaipur, Rajasthan serves scrumptious pure vegetarian food to their guest. The stunning décor of the venue makes it an ideal option for your function. One, of the best banquet halls in Malviya Nagar, it has luxurious rooms for your invitees which gives them a comfortable stay. It has a banquet hall for having an intimate function with close family and friends. It also has a rooftop terrace which offers a great overview of the city at night. The venue has a warm ambience which makes everyone feel welcomed. Plan your events at Hotel De Nada, Malviya Nagar, Jaipur to make them happening. Hotel Hill View And Banquets, Malviya Nagar, Jaipur is an ideal hotel for an open air function. 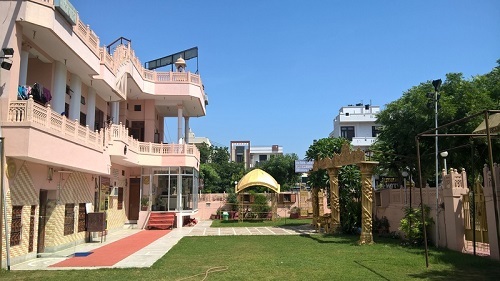 It is suitable for pre-wedding functions, wedding events, receptions and the spacious lawn is ideal for mehendi and sangeet functions, this place also has a terrace where social events, birthdays, anniversaries and parties are organized. It is located at Jaipur in Malviya Nagar, Jhalana and the venue serves delicious delicacies to vegetarians and non-vegetarians in different cuisines. The decor of Hotel Hill View And Banquets, Malviya Nagar, Jaipur is pleasant and has a very calm persona about it. Rooms are well laid and it is a well-established hotel plus the staff here ensures that your wedding is a flawless affair. The interior of this place is done profoundly. It is a place where anyone would want to host their celebrations at and a place to start new happy beginnings. Hotel Mahal Palace & Marriage Garden, Malviya Nagar, Jaipur is an ideal hotel for celebrating weddings, receptions, social events, and many other grand functions. The events held at Hotel Mahal Palace & Marriage Garden, Jaipur, Rajasthan are very warm and welcoming to your guests as the lawn gives a very calm environment. Hotel Mahal Palace & Marriage Garden, Malviya Nagar is located near Shree Sumangal Poly Clinic & Hospital and provides you with caterers who can make delicious dishes in veg and serve it to our guests. Hotel Mahal Palace & Marriage Garden, Malviya Nagar, Jaipur is a perfect place to host events as the lawn here is well kept and looks very welcoming. The decor done by the decorators here is fabulous and makes the place look very attractive and apt for celebrations. This lawn is very wide and can accommodate a huge guest-list. Hotel Mahal Palace, Jaipur has a management team that is hospitable and makes the events a seamless affair. 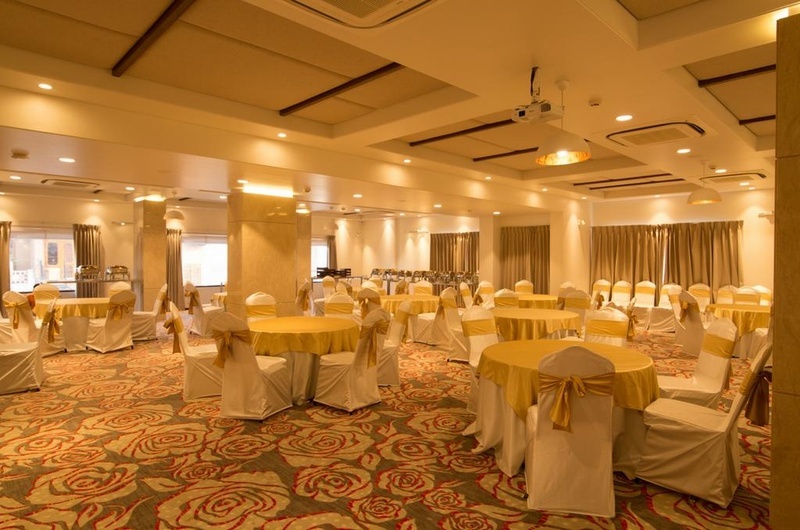 So go ahead book this venue in Jaipur now and make your events happening and delightful.